We are a family run business specialising in all aspects of painting and decorating with a Ken eye for details. We pride ourselves in high quality work. We're are city and guilds qualified, and fully insured. 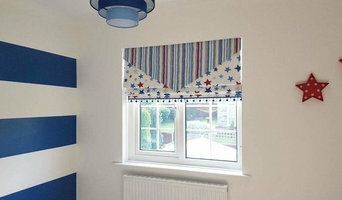 We offer free estimates and advice our customers in choosing ony the best quality decorating products. No job too small. Welcome to Creative Brushes Leeds, painter and decorators, we are a small group of fully-committed, quality-driven and friendly professional painters and decorators in Leeds. Our team of professional painters and decorators works closely with residential customers and commercial clients. We are now offering our customers even greater peace of mind, as we are also members of Trustmark, which is a scheme launched by the Government Industry, Trading Standards and Consumer Groups, to help consumers to find reliable and trustworthy trades people, to find out more about TrustMark visit www.trustmark.org.uk We are highly trained professionals decorators who believe in being fair in all our dealings and we will always do what we say we are going to do with enthusiasm and commitment. I employ a team of Female and Male painters and decorators offering a full decorating service for domestic and commercial clients. Specialising in heritage decoration and renovation. New Leaf House Decorating Co. Decorating & Painting Contractors covering England & Scotland. 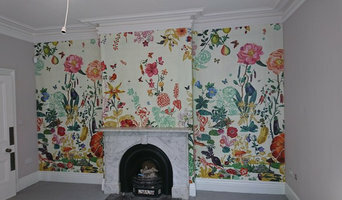 We specialise in hanging fine wall-coverings and Digital Wallpaper. We have been established for more than 25 years and offer a wealth of knowledge and expertise in decorating and painting. I have been working in the painting and decorating trade for 27 years and have successfully run my own decorating business for 20 years. 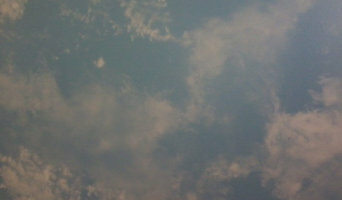 I am a professional painter and decorator and i am city and guilds qualified. I provide a friendly and efficient painting and decorating service which is both reliable and working within your budget I have worked with many happy customers which is why the majority of my work comes from "word of mouth" and recommendations. I am proud of this fact and believe it is a testament to the quality of service that I provide. I take great pride in the quality of my work with many of my customers using my services time and time again. Retailer of wallcoverings, paint and decorating products. 24 hour UK nationwide service covering all aspects of decorating to the leisure,commercial,office,retail and private sector. What jobs do Leeds, West Yorkshire painters and decorators do? As well as plain painting jobs, many Leeds, West Yorkshire painters and decorators will take on other jobs as well. If you’re dealing with an old or run-down property and you need the walls completely stripped down before painting, this could be tackled by a Leeds, West Yorkshire painter decorator. Some professionals will also carry out repairs on paint work and walls, from small cracks and holes to sometimes larger repairs like fixing window panes, doorframes and sills. Some painters and decorators may specialise in certain kinds of painting, such as window exteriors, doors, gates and fences. And finally, you may find some contractors are very good at the finishing touches, not only neatly finishing paint work but also installing beautiful wallpaper, wall stickers, painting intricate or fiddly features or even painting patterns and murals on your walls. Why should I hire a painter and decorator in Leeds, West Yorkshire rather than doing it myself? 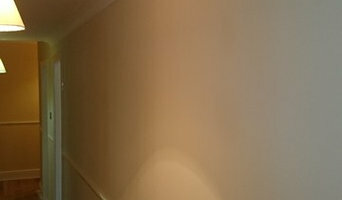 Even if you are planning on going very simple with your walls, perhaps a crisp white or grey, then using Leeds, West Yorkshire painters and decorators to finish the job to a high standard is still advisable. Not only will it mean your painted walls will be clean and precise, but it will also save you the time and effort of painting and decorating yourself. House painters in Leeds, West Yorkshire will be quick and efficient at painting your rooms, and if you have a tricky outside wall or space that needs painting, specialist exterior painters are the professionals for the job. 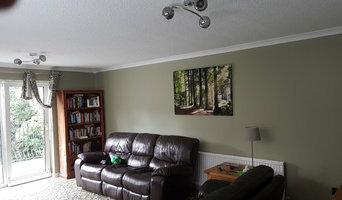 Search for Leeds, West Yorkshire painters and decorators on Houzz to see past painting and decorating projects and reviews from clients to see if there’s a professional that can help you with your project. Even if a local painter decorator doesn’t specialise in your kind of project, ask them first, and they may know other professionals that can help, such as wallpaper specialists, paint companies or wall sticker or mural installers. Find a painter decorator on Houzz. Narrow your search in the Professionals section of the website to Leeds, West Yorkshire painter or decorator. You can also look through Leeds, West Yorkshire photos to find examples of painting and decorating jobs that you like, then contact the professional who worked on them.